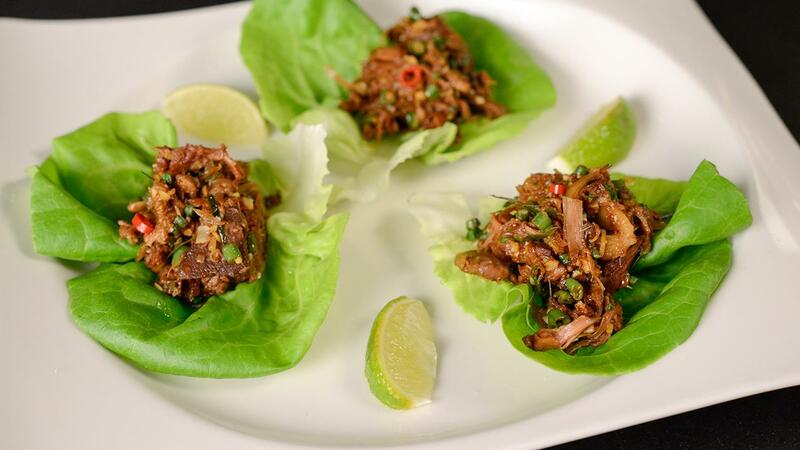 A vegetarian version to the Chicken larb in lettuce cup recipe. KNORR® Professional Liquid Concentrated Vegetable Base, prepared 2 T.
Heat oil in wok. Stir in aromatics (garlic, lemongrass, galangal, shallots, and chilies).